Melt the honey and nut butter together and stir in the rest of the ingredients. Shape the balls in your hands- makes 18-20 balls! This is a really easy way to make a quick snack and is A LOT healthier than buying protein bars. 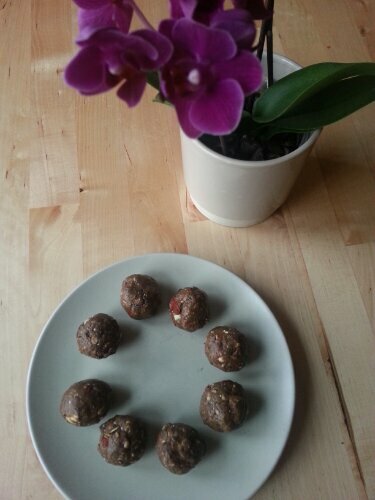 The goji berries add vitamin C and Chia seeds are a source of omega and fibre! 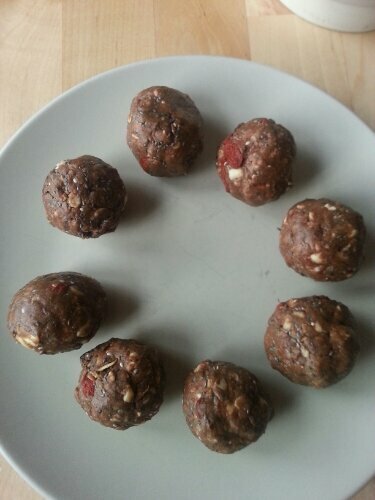 4 Responses to "Goji Berry and Chia Protein Balls"
Yes I think that would work! or any kind of berries…I’m going to try cranberries next time P.S they are ADDICTIVE! How awesome are these balls! Gotta love chia!